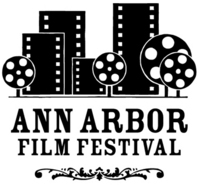 Posted on Wed, Feb 1, 2012 : 5:59 a.m.
On Friday, Feb. 3, from 7-8:30 p.m. at the Ann Arbor downtown library's multipurpose room (343 S. Fifth Ave.), AADL will unveil its new Ann Arbor Film Festival archive, which chronicles the experimental and independent film festival's 50 year history. Join Donald Harrison, AAFF executive director, and other voices from the Festival’s past as they share behind-the-scenes stories from the longest-running independent and experimental film festival in North America. The evening will also feature the premiere of AADL's digital archive of the AAFF, which provides online access to posters and program guides from the festival's half century of film exhibition history. Also included are original interviews with festival organizers and participants from over the years, and media coverage of the annual event (including articles from the Ann Arbor News and Ann Arbor Sun). The program will conclude with light refreshments and the opportunity to mingle with Film Festival staffers. For more information call the Library at 734-327-4555 or visit the website at aadl.org.